Diplomatic Mission Peace and Prosperity (DMPP), is an international lobbying organization, accredited in UN, EU, USA, NATO, etc., in continuation of the projects of Former American President Dwight D. Eisenhower, ideated by the late American Ambassador Richard Holbrooke to operate in the Balkans and the countries under development, registered in Tirana, supported by a group of Albanian and foreign diplomats. It is located in Tirana and operates in Balkans: The Republic of Albania, Kosovo, Macedonia, Montenegro, and in many major countries around the world. This mission also operates in countries where Albanian communities are concentrated, such as in Greece, Germany, France, Italy, Turkey, Switzerland, etc.., and especially in the U.S.A as a friendly powerful country that, for more than a century has taken under protection the small Albania with its policies and diplomacy. Education, Peace and Progress! – This is the mission’s motto. 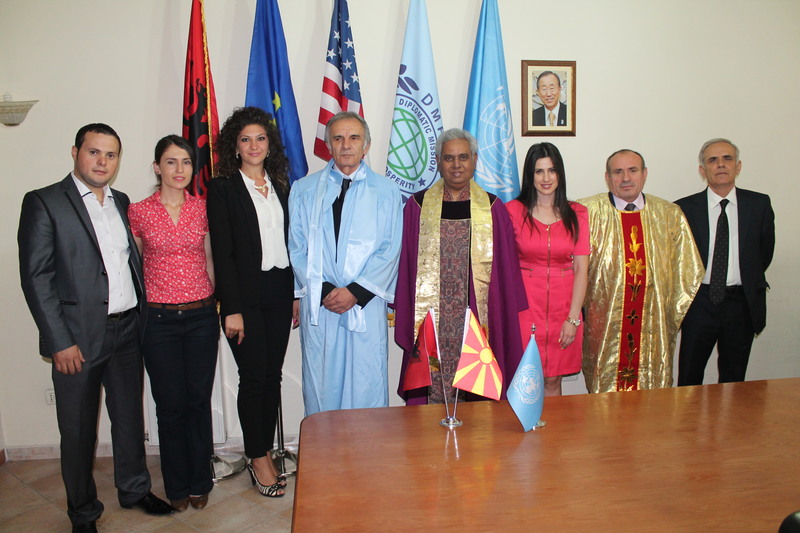 The members of this mission, under the example of Saint Mother Teresa, the great Albanian woman, who sacrificed her life in the service of humanity, are committed as missioners of peace, in the role of a group of Ambassadors of Peace, willing to represent the Democratic Albania to the international opinion as a country with sustainable development, which has education and peace culture in its citizens’ genes and which fights for a better Balkans, a better Europe and a better World where God’s Paradise dominates. It is known that peace is rooted in true love, in love toward God and toward each other … For this reason the mission is addressed to each citizen of the world by calling: Lobbying, Lobbying and only Lobbying for Peace, Education and Modern Civilization! And this is exactly the axis of the message that DMPP transmits to the global social opinion. DMPP, members, collaborators and partners of this mission work for the education of a new generation of peace missionaries who love, practice and enroot peace in all the pre-school, school, university, academic institutions and all the institutions of civil society which are directly or indirectly connected with the cultivation of citizen culture in the developing communities and countries. DMPP lobbies to educate, improve and enroot the image of the developing countries according to the ten principles of UN and UNAI. 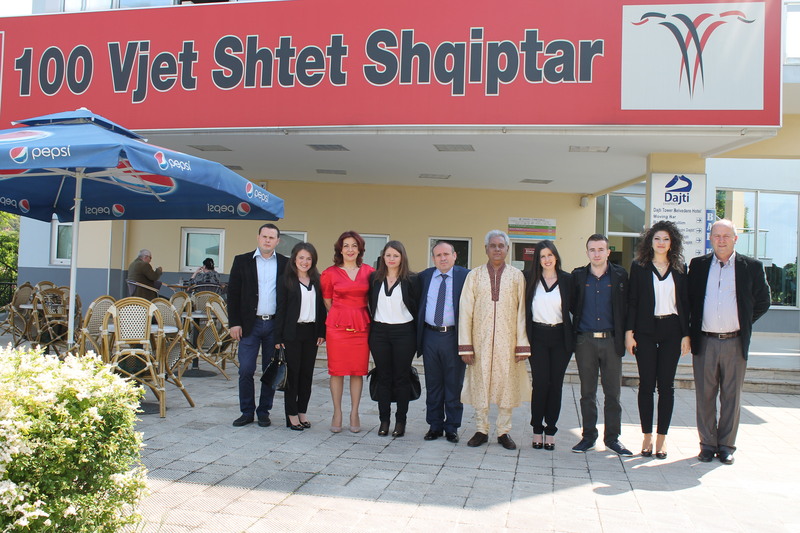 The mission members are prominent leaders from many different countries, from all fields of life and from all faiths, who have committed themselves to the issue of peace in Albania, in the Balkans and around the World. These peace leaders work for the training of a new generation of peace missionaries, devoted educators and warriors in the service of modern urban culture, the culture of inter-community, inter-ethnic and inter-religious peaceful coexistence, in all developing countries. Peace requires continuous work, education, schooling, specialization and training to overcome the boundaries of race, religion, nationality and culture, which have historically divided humanity. So, Peace and Development, Peace and Civilization! – Not only in the civilized countries like USA, but everywhere in the Balkans and all over the world, wherever there is ignorance, illiteracy, lack of information, economical and thought poorness, lack of free thought and free press. The mission aims to bring in its ranks prominent personalities of World Politics, Culture, Art, Literature, Education, Science, etc.., especially Diplomacy personalities, with the objective to create a powerful lobby in support of education with peace culture and integration of developing countries beside the civilized countries which work in support of worldwide peace. Administration of human values, coordination, consultation, negotiation, mediation and lobbying for Peace and Progress, for a global world where reason dominates and not violence, where the modern civilization and prosperity, this is the goal and the essence of this mission’s activity. – Re-dimensioning the image of the Balkans countries trampled by former communist dictatorships, re-dimensioning the education, cultural values and every human value in service of peace, harmony and inter-human love, which makes special the countries of Balkans and developing countries. – DMPP takes care that every member plays the role of a model Ambassador in the eyes of international opinion and foreign diplomacy to exalt cultural values and national issues of Balkan countries and developing countries compared to the most democratic and civilized cultures of the world. – DMPP lobbies in accordance with the legislation of developing countries, international legislation and the UN’s principles to urge education, schooling, specialization, continuous training, assistance, help, care, legal consultation and defense of human rights especially for the social classes in difficulty. -DMPP assists for free the individuals and families at economical and social difficulty, especially those whose life is at risk because of political crisis and natural disasters. This institution helps voluntarily with its own structures or lobbies beside state, public, governmental and non-governmental, national and international bodies, with which it has partnership to protect the most prominent human values. DMPP aims to assure the maximum possibilities for the protection of the individual according to the International Law that regulates the living in Peace and Prosperity in all communities all over the world. – DMPP selects, publishes and propagates in Albania and Balkans, as a sign of gratitude, the rarest values of global civic culture, world personalities’ works in the fields of politics, diplomacy, culture, etc.., who have contributed and are still contributing to the recognition of international opinion with the traditional values which inspire peace in the Balkan countries. – DMPP selects, translates, publishes and propagates in the main foreign languages, the national masterpieces of the Balkan countries, putting them in service to the global civic culture. – Realization of television documentaries on life and work of great personalities who contribute for the education of new generations with the peace spirit and modern civilization, this is another goal of DMPP. – This institution works a lot to incite to the youth the desire to study in the best universities of the world, it encourages the specialization of new talents and intellectuals in the fields of philosophy, politics and diplomacy, international and intergovernmental relations, art, culture and sports in service of peace, with the aim of creating new generations that will lobby for continuous improvement of the image of peace missionaries. – DMPP works to provide technical assistance to new talents and intellectuals so that they can be trained as peace missionaries, career diplomats and as members of the lobby of the future for peace and development. Only this way can be guaranteed the acquisition with talent, professionalism and mastery of the art the lobbyer in service of peace under the signature of great peacemakers such as Gandhi, Martin Luther King, Mandela, etc. Only with continuous education and devotion can be reached the collaboration with the professionals of the western world and especially with the peacemaker specialist of Un, USA, etc. 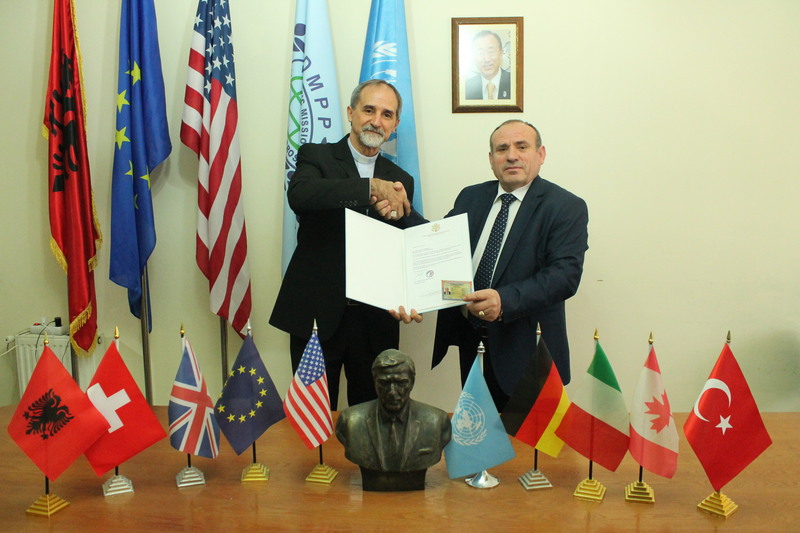 -DMPP follows the strategy of education and employment of many talented boys and girls of peace-loving communities in the Albanian public administration, in Western countries’ administrations and multinational companies, which determine the fate of world politics and economy, especially in foreign diplomatic representations with the aim to build bridges of inter-community, inter-ethnic and international friendship and collaboration. These generations of DMPP missionaries are model diplomats and ambassadors of the culture of the own countries and the global culture which inspires peace and civilization. – DMPP aims the creation of more powerful lobbies with world personalities in support of the democratic developments of Balkans countries and developing countries, according to the UN’s principles and American democracy. The Peace missionaries that DMPP trains and educates, fights selflessly for international integrity of their countries, following with devotion the model of the most advanced antique and contemporary civilizations. – DMPP lobbies for the movement of the capital assets of powerful countries in help of the countries under development, with the aim to increase the economic welfare and problematic societies. Where there is welfare, there is also education of the best global standards. DMPP organizes conferences and donators’ meetings for the financing of projects that bring peace and development. This institution organizes fairs in help of the countries under development.